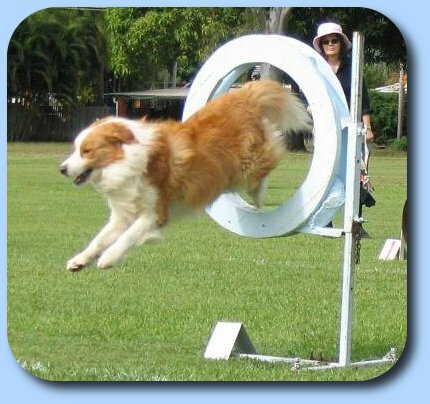 Shitani at work in the agility ring with his handler Sarah Fairchild. 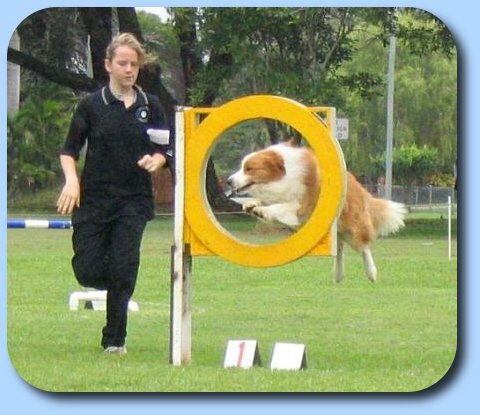 Both Shitani and Sarah started running agility as soon as they were old enough, and did very well in early competitions. 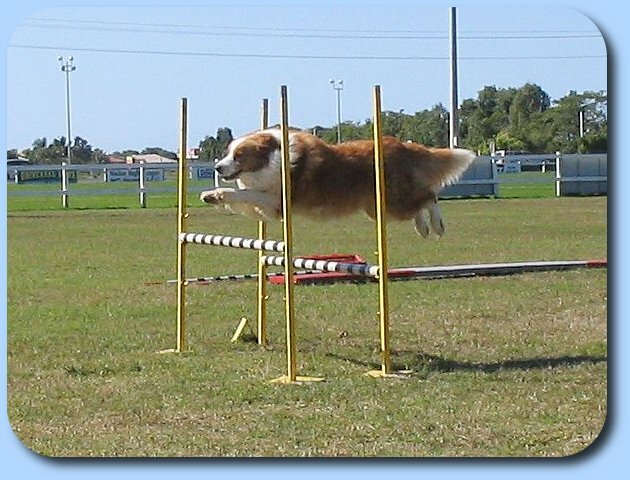 Shitani quickly gained his jumping dog title and his first agility dog qualifications in 2004. He attained his AD title in 2005 when Sarah was 12 years old. Shitani is also a tracking dog and is handled by Tim and Therese out in the field. 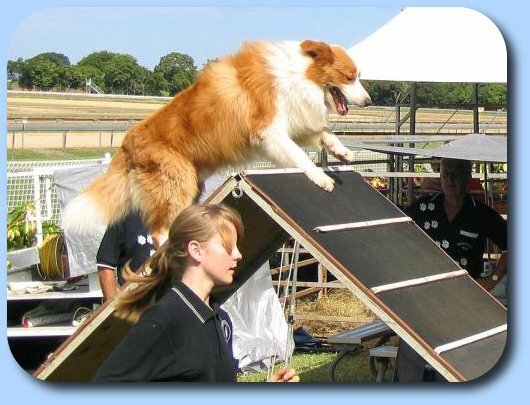 He was always a natural with tracking and gained his tracking dog title in 2004 after just a few trials. 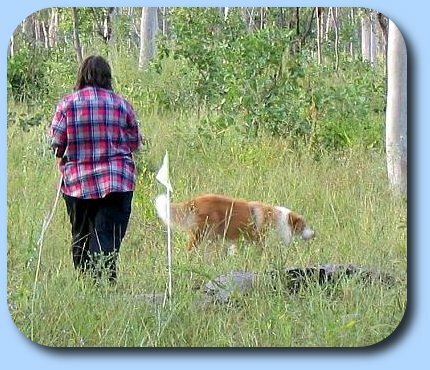 In 2005 he completed his tracking dog excellent TDX title with Therese in quick order with only one attempt at a T4 track and two attempts at a T5 track. Shitani and Therese then completed the Tracking Champion Title in May 2006. Shitani and Sarah went on in 2006 to gain their Snooker Dog (SD) title, one of the games events introduced as of 1st July 2006. Sarah and Shitani did not get to compete a great deal in 2007 as Tim was judging too many competitions, and for a while it did not look like a good year for any more titles, so they moved into a little obedience and very quickly attained their CCD title. They also managed to get to enough competitions to secure their JDX and GD title for the year. Go to Shitani's page for more photos and details. Mackay on day 2 of the double after getting his AD.